Social and human phenomena are typically extremely complex due to the large amount of variables involved and to the intricate multiple intercorrelations between them. The relationship between variables A and B almost always seems to depend on the relationship between each of them and other variables, which interact in a similar fashion with yet other variables and so forth. For any researcher in the field, the major challenge is to find overarching patterns in a broad and convoluted set of observations so as to inspire and/or put to test scientific models regarding mechanisms and processes that could be proposed to explain how people function. The prominent Israeli-American mathematician, sociologist, and psychologist Louis Guttman developed a theoretical–analytical framework, called Facet Theory, which was designed to address precisely such issues. His mathematical approach allows for the intuitive visual representation of multiple interactions between variables at once, and for the interpretation of the result in terms of structures with theoretical meaning. The authors of the present chapter have, since the 1980s, been making use of Facet Theory to study multiple topics in psychology, sociology, anthropology, management, and economics, among others, finding patterns in complex datasets through which the understanding of the phenomena under investigation could be improved and, at the same time, immensely simplified. Eventually, work was done comparing the efficacy of this approach to more traditional methods such as Factor Analysis, Cluster Analysis, and Structural Equation Modelling, invariably finding Facet Theory to be superior. More recently, some contribution has been made to the advancement of Facet Theory itself by means of the identification of the need to more rigorously address uncertainty in Smallest Space Analysis diagrams and the proposal of a specific procedure to achieve this. Throughout these more than 30 years, numerous students, both at graduate and undergraduate levels, have been trained in the use of Facet Theory. 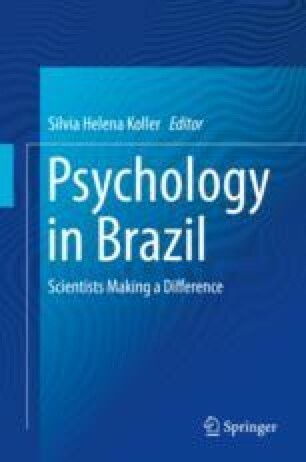 Also, a large number of scientific papers, book chapters, and conference lectures using the method have been published in Brazil and abroad. All of this contributes to the dissemination of Facet Theory and its potential in the local, national, and international spheres.